What is an Alias List, and how does it help me? Great questions! 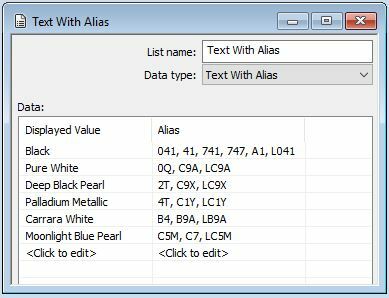 An example way to use an Alias list is with a product line that includes a generic description as well as detailed codes belonging to the description. Such as a paint code. 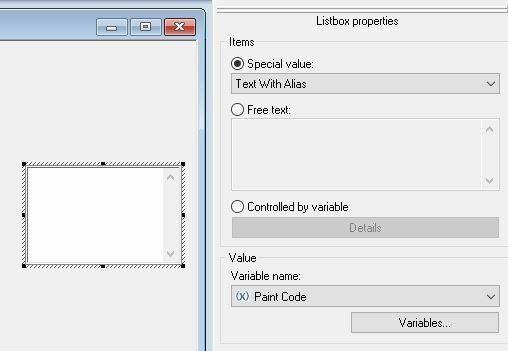 When a selection is made and saved, the value that alias belongs to is placed into the custom properties of the file. 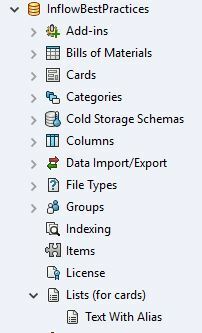 The Alias displayed info will be what is seen on the data card, while the Alias is the value stored in the custom property. An alias list can also be used in formulas for other values on the data card. XP is eleven years old …and not going to be twelve.